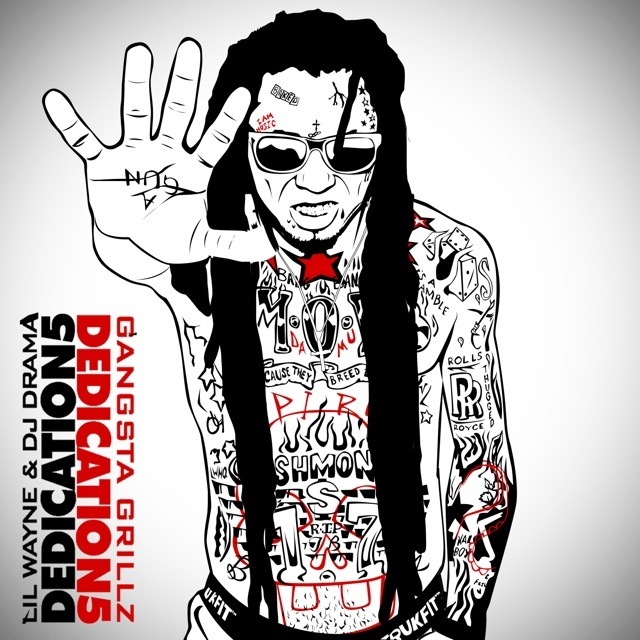 Weezy’s got five on it, on the new cover art for his upcoming Dedication 5, set to impact on August 30. 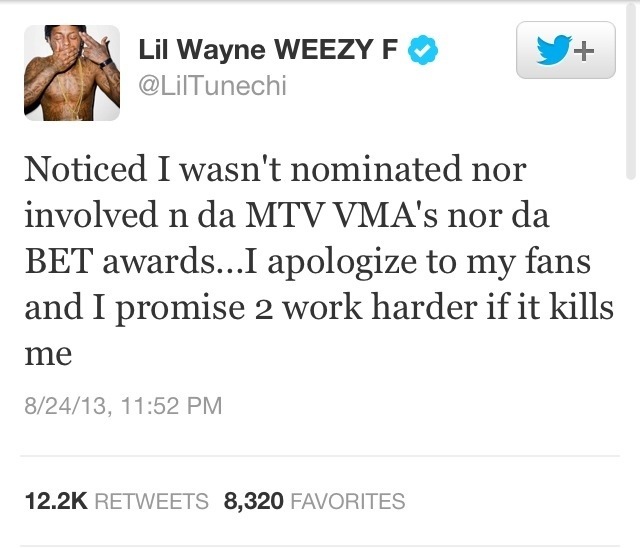 In other news, Wayne is taking being shun from BET nominations as well as VMAs as a sign to work harder. Peep what he had to say below.